After several decades of recovery efforts the U.S. Fish and Wildlife Service is proposing to remove the gray wolf from the endangered species list. The U.S. 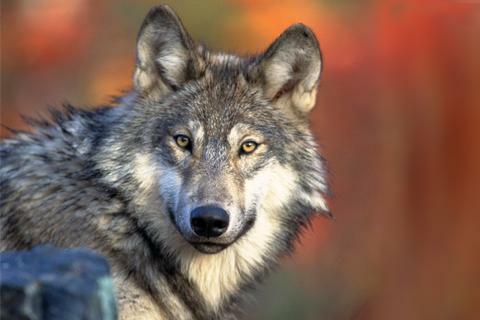 Fish and Wildlife Service says the proposal comes after their latest comprehensive review confirmed they’d reached their target numbers for a successful recovery of the gray wolf. The proposal will now undergo a 90-day public comment period. The federal agency will make a final decision in 2014. Under the proposal the gray wolf will be removed form the endangered species list and management will be turned over to local wildlife management agencies such as the Utah Division of Wildlife Resources. DWR Mammal Program Coordinator John Shivik says if approved, the proposal represents a successful recovery campaign. At the same time, Shivik also recognizes that there are a lot of diverse interests that complicate the issue of gray wolf management. “Basically as a wildlife manager you’re job is to jump in the middle and try to present some reason, science, and biology and be able to have these predatory species around but also try to temper the problems that they cause,” he says. If the proposal is accepted the state already has in place a wolf management plan even though DWR biologists say they aren’t aware of any established wolf packs inside Utah.